Anytime fitness and train station is 5 min walk away. 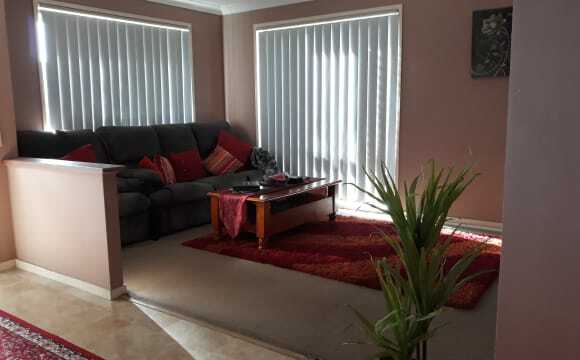 Close to shops and Redbank plains. Quiet location with parks and local pool near by. 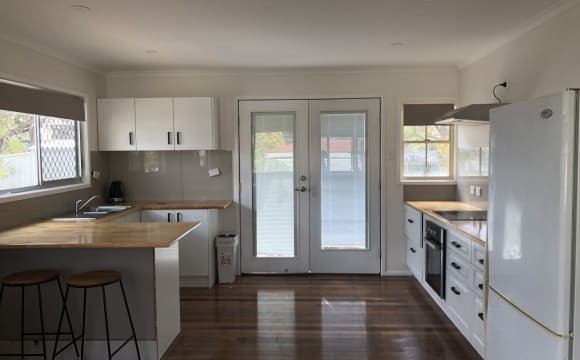 The home is in Wacol close to the Gailes golf course and within walking distance of both Wacol and Gailes train stations for access to the City or Ipswich. A bus service between Forest Lake &amp; Goodna can be caught at the end of the street about 300m. Access to the Ipswich and Centennial Motorways is close and the Logan Motorway can be accessed via Gailes. 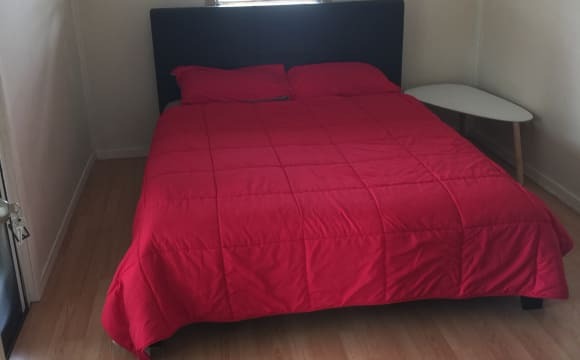 The bedroom is large enough to accommodate a king-sized bed or two single beds has a large built-in wardrobe, air conditioning, ceiling fans and can be connected to the internet from the room if a gamer or by wifi. Foxtel can be accessed from the room and a box rented for this purpose. Tenants are asked to eat in the dining room rather than taking food to their room which can attract vermin and other pests. 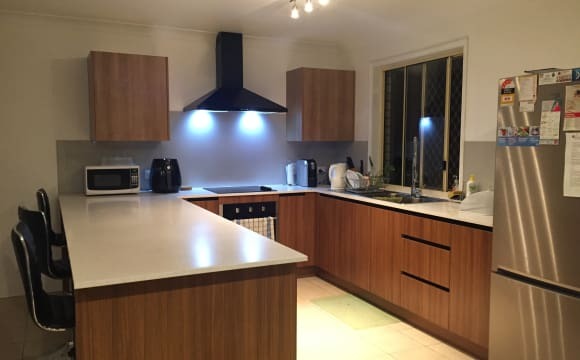 Cooking facilities are shared and all tenants will be asked to consider others and to clean up after themselves and keep their room clean as well as all shared facilities such as the laundry lounge and kitchen area. cleaning the shared facilities will be the task of all tenants who share these facilities. Foxtel is also available in the Lounge and Sky Sports is connected for sports buffs. Movies are not available unless tenants want to pay extra to have them connected. Programmes can be recorded for later viewing. All crockery, cutlery and cooking utensils are provided. Parking is off the street in front of the house. Whilst smoking is accepted it is strictly outside the house. No illegal drugs are to be used or brought onto the property A bond of 2 weeks rent is requested but can be negotiated. The property is not suitable for pets. The house is 3 Years old, modern and in a quiet area. It is close to the Ipswich and Centennial Motorways. 1 Km to both Wacol and Gailes Rail Stations with the Goodna/Forest Lake bus stop 300m. All bills except food and cleaning products are included in the rent. 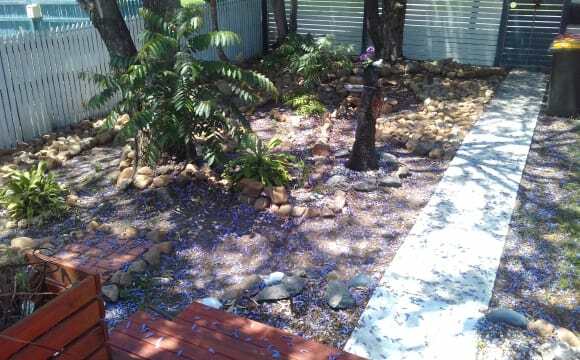 The property is connected to the NBN and Foxtel. The cooking facilities are modern and all crockery, cutlery and cooking utensils are supplied. Parking is available off street in front of the house which is up an easement. The room is one of the three single rooms in the house which can accommodate a queen or king sized bed and has an electric fan in the room as well as a large built-in wardrobe. In-room connection to the internet or by wifi. The room is unfurnished to allow you to put in your own bed and furniture. Rent is paid weekly in advance to the supplied bank account. Two weeks bond is asked for (payment negotiable) and returned after inspection when the room has been vacated in a clean nondamaged condition and carpets cleaned. The bond is negotiable. A tenancy agreement will be drawn up which protects both the tenant and owner. Although smokers are accepted smoking is outside the house. Illegal drugs are not to be used on the premises either inside or outside the house. The house and grounds are not suitable for pets. It a good place to stay, the house is funished. 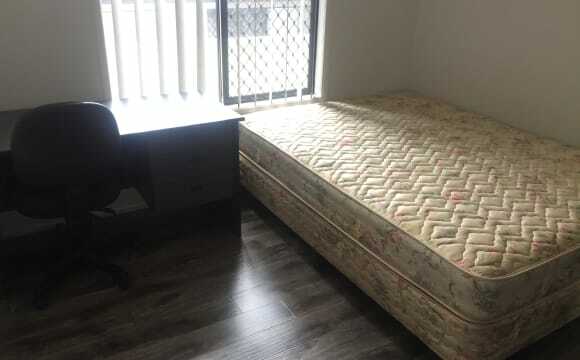 I have one room for rent in a 2-year old house in Goodna, already fully furnished with bed, mattress, desk, chair, wardrobe. Close to shopping center and train station. This is a 6-bedroom house, we are all studying or working. The house has 2 toilets and 2 bathrooms which are shared by maximum 5 persons, so you won't need to wait for your turn. I am seeking for clean, tidy and responsible person. Preferring someone who is currently studying or working. The room is available now. - Room rental is $140 including electric, water and wifi internet (unlimited). - Bond is $280 (2-week rent equivalent). - When you move in, I will require the bond and the rent of two weeks, totally $560. Then the rent will be paid every fortnight ($280). 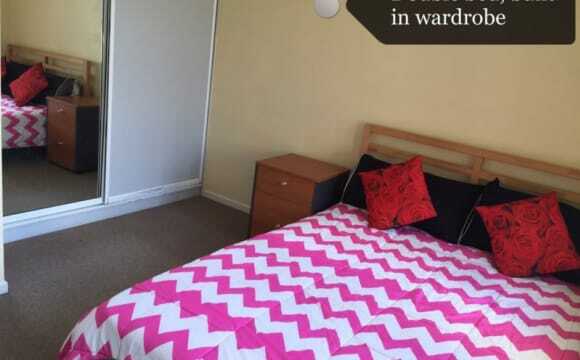 - Shared facilities: Kitchen, living room, laundry, 2 bathrooms &amp; 2 toilets. - The house is only 5 mins walking distance to St Ives shopping centre (Woolworths, Hungry Jack, Mc Donald, Domino Pizza, Pizza Huts, etc). 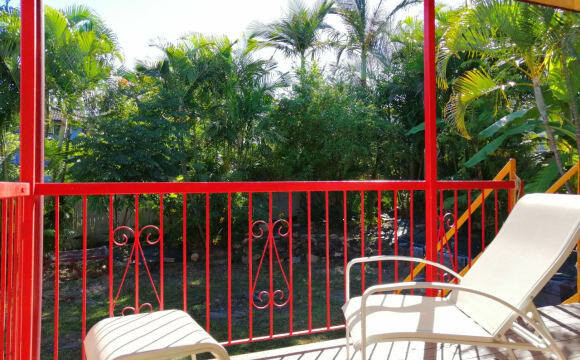 - 10-15 mins walking distance to Goodna train station. - Strictly no drug. Smoking is fine, but you are required to smoke outside. - Pets are not allowed, sorry! We love living here because it’s close to everyone’s work place, gym, woollies, McDonald’s down the road also. Train station is only a 10minute walk and a bus stop only a 5minute walk. Also the pictures are of the display townhouse so we have different furniture.